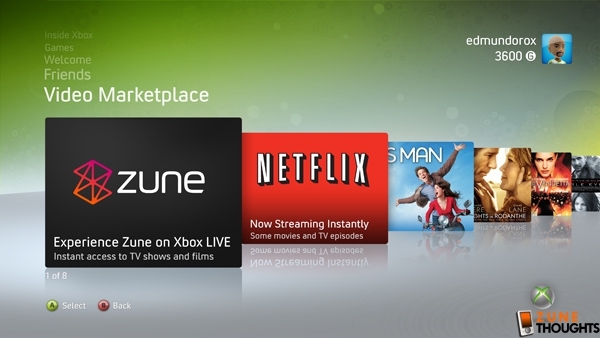 There were some rumblings about this last week, but today at E3 Microsoft has confirmed the details: Xbox owners will be able to access all the video content on the Zune Marketplace. Playback is enhanced by what Microsoft is calling "Smooth Streaming" - video playback starts very quickly at a low bit-rate, then ramps up in bit-rate for maximum quality. This means that, assuming you have a decently fast Internet connection, there shouldn't be much in the way of "Please Wait: Buffering" messages. The video pushed down the pipe are glorious 1080p, and will have 5.1 surround sound. I haven't ordered many movies off the Xbox Marketplace, but aren't they all in 720p? If so, this is a big jump in quality - nice! There's also going to be enhanced search functionality to make finding things easier - that's a good thing, because the Xbox Marketplace was a very manual affair, and now that the Zune Marketplace is going to be offering scads more content, being able to find it easily is important. So who's going to get access to this? In addition to the US, Canada, UK, France, Ireland, Italy, Germany and Spain - all of which were announced last week - you can add Austria, Australia, Belgium, Denmark, Finland, Netherlands, New Zealand, Norway, Sweden, and Switzerland. Wow - that's quite the list of countries. Does that mean it's much harder to get music marketplaces launched in those countries? I'm impressed with how many countries Microsoft is able to launch in so quickly, yet still after a year of having the Zune hardware availalble in Canada, there's no Zune Marketplace. So I'll be able to get Zune videos on my Xbox 360, but I still can't get music or videos for my Zune? That's pretty screwed up. One thing I'm not sure about is rental vs. purchase. In Canada, movie rentals are rental only - there's no option to purchase the movie, and there are no TV shows for rental or purchase. I think on the Zune Marketplace, there's only a purchase option, isn't there? 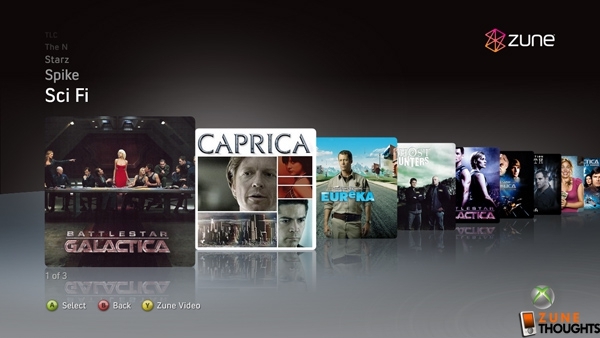 I'm not aware of a rental option for content - so is the Zune Marketplace on Xbox 360 a hybrid of the two? Or purely a purchase-only experience? UPDATE: Two points I've learned more about. First, this experience is coming to the Xbox in the fall. It's tied to the fall update for the Xbox 360. Secondly, I've been told that the Zune Video Marketplace is for rental only, there's no purchasing of content.